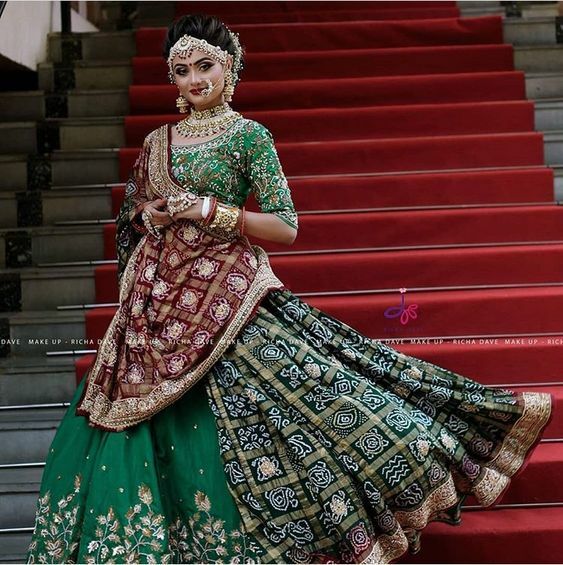 Almost all Indian brides style the dupatta in a way which covers their head, in fact some get a lighter version of the main dupatta so that they could show off their hairdo, which basically gets impossible to do with the heavily embroidered dupatta which comes along with the lehnga. But what if we say that you do not have to necessarily cover your head and that you can get the most gorgeous hairstyle done without thinking that it will be covered with the veil. 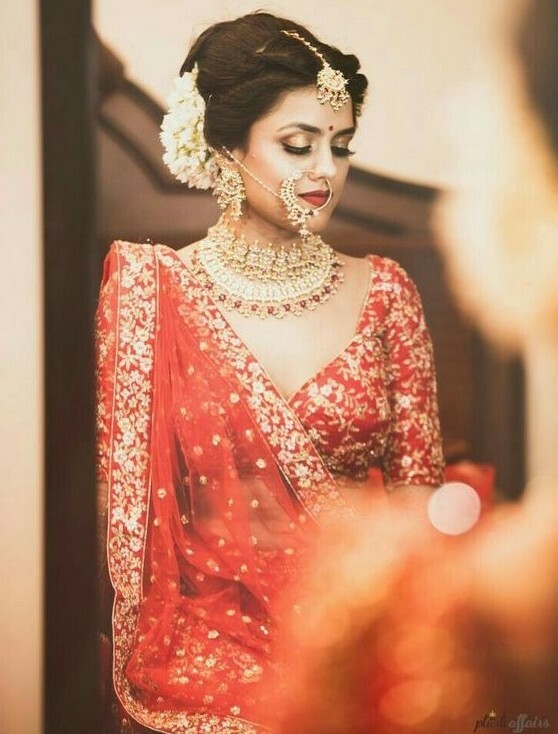 – This hairstyle done in front twists with crown in a puff style, accompanied with a high bun at the back is something which every bride would wish for. 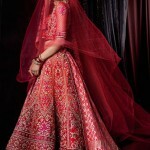 Gajra done in a halfway style looks alluring. A simple one string maang tikka is enough to complete the look. 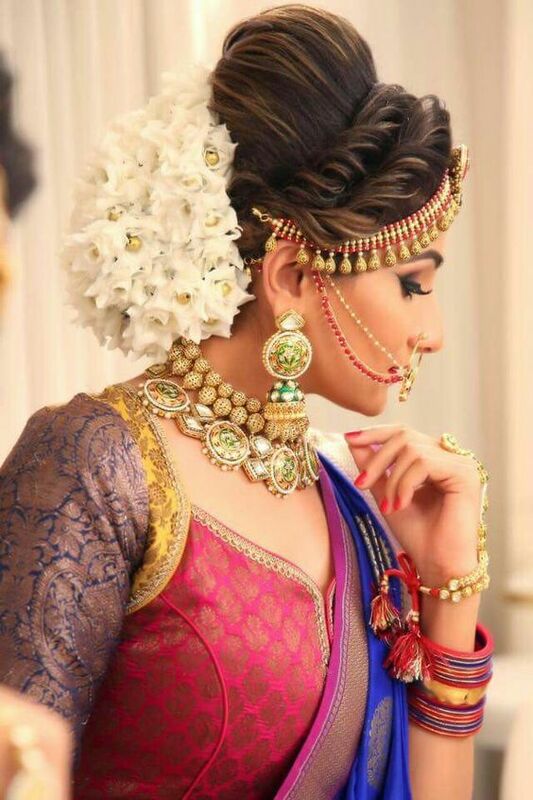 – If you are the one who is choosing the bold maatha patti style tikka, then this is one of the most perfect hairstyles which you can go for. A puffed front which raises higher while going back and a bun at the back adorned with beautiful matching roses. Who would want to cover this hairstyle with a dupatta. 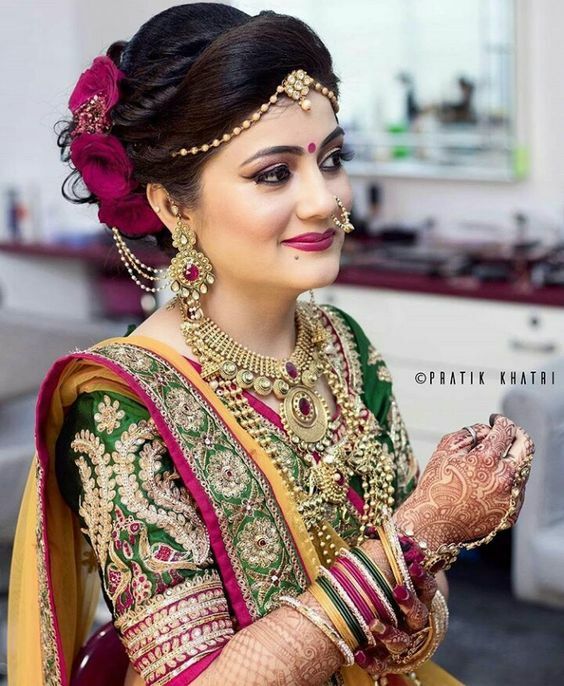 – Double side twists with a raised puff style is very popular these days and is apt for a bride who wants to ditch the head palla or dupatta. It also gives a voluminous and dramatic hair perfect for a bridal look. Do not forget to use lots of flowers for the bun. You can either use all white flowers or mix and match them with an addition of colors similar to your attire. – For the ones who love their Bolra style tikka can use this hairstyle. The front puff adds volume to the face accompanied with a high rise back bun.